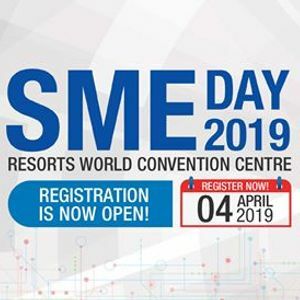 [Calling all SMEs] Join us at the annual SME Day 2019 on 4th April at RWS! Get first-hand information on the technology solutions and initiatives you can adopt to enhance your business. At the Exhibition area, experience a range of exciting solutions from sectors such as Manufacturing & Engineering, Food & Health, and Digital. What are you waiting for? Register now at http://bit.ly/smeday19_fbevent!